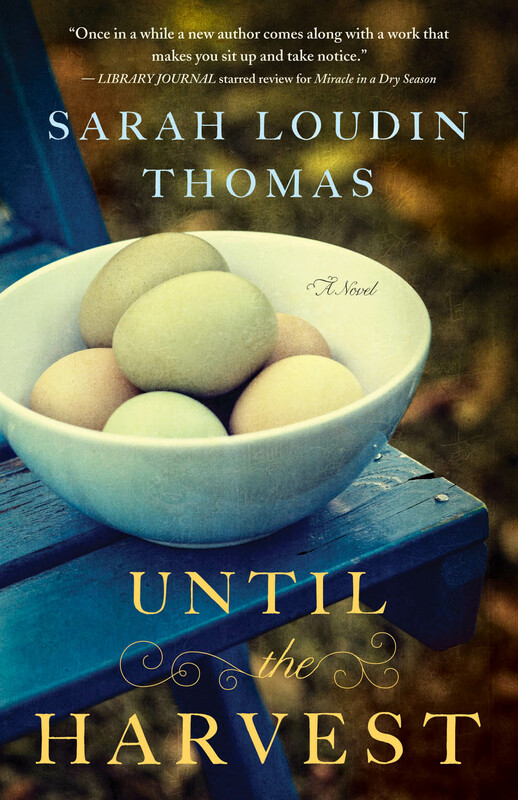 This follow-up story will delight readers of Thomas’ previous novel, but, it reads perfectly as a standalone as well. When a family tragedy derails Henry Phillips’s college studies, he’s left unmoored and feeling abandoned. Although Henry tries to find escape in bad company, the only things that can tamp down his anger and grief are the family farm, his fiddle, and sweet but unusual pre-teen Mayfair Hoffman.Unfortunately, Mayfair’s older sister, Margaret, with the freckles and cute, turned-up nose, has the opposite effect. Worse, she’s his grandmother’s housekeeper and helper, so she’s always around and ready to push his buttons. At first he thinks she doesn’t care about his loss, before beginning to understand she’s facing her own struggles. Mayfair’s health and unique gift sit at the heart of those worries, and Henry and Margaret soon find themselves relying on each other as both Henry’s future and Mayfair’s life are put at risk. Eating and telling stories are two of my favorite things so it’s only natural that food turns up in my writing over and over again. The second book in the Appalachian Blessings series—Until the Harvest—opens with the hero, Henry Phillips, enjoying one of his favorite dishes–venison steak. And a little later he partakes of . . . fried squirrel. Now, before you turn up your nose, understand that in my growing up years we ate quite a bit of game including squirrel. Plenty of folks still enjoy it. And my mother made the best squirrel gravy. If you tried some on a biscuit, I bet you’d think so, too. My books aren’t about food, but food plays an important role in each one. Life on the farm—in West Virginia or anywhere else—centers on raising and harvesting food. Readers often comment that my books make them hungry, so today I thought I’d share a couple of recipes with you. One for Emily Phillips’ fried squirrel (courtesy of my mom, Nancy Loudin) and one for Margaret Hoffman’s egg salad (courtesy of WV chef Dale Hawkins). Hope you enjoy the book AND a good meal! –I have enjoyed “getting to know” Sarah Loudin Thomas via social media and eagerly look forward to reading both of her novels. –I absolutely loved Until The Harvest, by Sarah Loudin Thomas! –I love Sarah Loudin Thomas’s books! She is a favorite of mine!! –Absolutely LOVED Until the Harvest by Sarah Loudin Thomas. UTH has it all–life lessons, “get real” God moments, and the sweet stirring of love–all set amidst the beautiful backdrop of Appalachia country. No ten dollar words here–just great storytelling at its absolute finest! –Sarah Loudin Thomas, I have loved both of your books! Keep ’em comin’! –Sarah Loudin Thomas: keep up the good work and allowing God to reach people through your writing! –Sarah Loudin Thomas is one of my favorite authors. I love the way she tells a story! I can always feel what the characters are feeling. Soak the cleaned squirrels in a pan of water in the refrigerator for a couple of hours. Cut into pieces, place in a large pot, and cover with water. Bring to a boil, reduce heat, and simmer until the meat is tender, but not falling off the bones. Drain. Season the meat with salt and pepper and roll in the flour. Heat oil or lard to shimmering in a cast-iron skillet and add the pieces without crowding. Fry until golden brown on both sides. Remove to drain on a brown paper bag. Leave about two tablespoons of oil in the skillet and add two tablespoons of the flour left over from dredging the squirrel. Stir the flour until it’s lightly browned. Add milk and water alternately, stirring constantly, until your gravy is as thick as you like it. Season to taste with salt and pepper. Serve with hot biscuits. Place eggs in a saucepan and cover with water. Bring water to a boil and immediately remove from heat. Cover and let eggs stand in hot water for 10 to 12 minutes. Remove from hot water, cool. Peel and grate on a box grater. Place the eggs in a bowl and stir in the mayonnaise, mustard, and green onion. Season with salt, pepper, and paprika. Stir and serve. live there. Her Christian fiction is set in West Virginia and celebrates the people, the land, and the heritage of Appalachia. 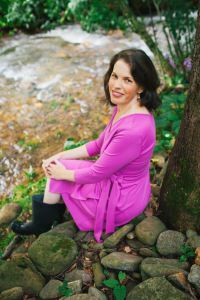 Her first novel, Miracle in a Dry Season, released August 2014 through Bethany House and won the 2015 Selah Award and an INSPY Award for debut fiction. Book #2, Until the Harvest, released May 2015. Sarah and her husband Jim live in the mountains of Western North Carolina with Thistle–the canine equivalent to a personal trainer pushing them to hike, run, and play tug-o-war. Sarah is active in her local church and enjoys cooking and–you guessed it–reading.